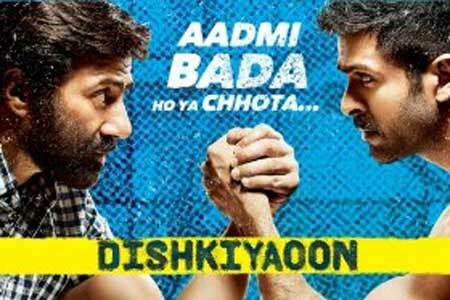 Dishkiyaoon is a Bollywood crime action film written and directed by debutant Sanamjit Singh Talwar, and produced by Shilpa Shetty and her husband Raj Kundra along with Eros International. The film features Sunny Deol, Harman Baweja, debutant Ayesha Khanna, Aditya Pancholi and Prashant Narayanan in lead roles. The music of Dishkiyaoon was composed by Palash Muchhal, Sneha Khanwalkar. The lyrics of the soundtrack were written by Sanamjit Singh Talwar, Mayur Puri. Here is the link of all the songs lyrics and videos of Dishkiyaoon.